Stephanie is a doctoral student in the Human Factors and Applied Cognition Program working with Dr. Eva Wiese. She received her B.S. in civil engineering from Michigan Technological University in 2012. 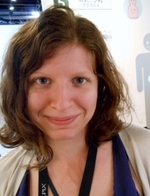 Her interests include embodied cognition, social robotics, machine learning, citizen science and science communications.